These are the thoughts I had following our day at Cbeebies Land. This was written in our room in the Cbeebies Hotel with the rest of the family already snoring around me. I write this following day 1 of our much anticipated trip to Cbeebies Land and the Cbeebies Land Hotel at Alton Towers. I’m not sure how I feel about today. Lets just say that not everything has gone to plan and there have been many disappointments. However, we have done out absolute best to remain positive so for now I would like to concentrate on the good and leave the bad and the ugly for another post. Ultimately we did have an amazing day. We are massive fans of Cbeebies in the TWT house. The excitement has been palpable for over a week now and not just from the three year old. We were all intrigued to see how they would interpret our favourite programmes in a theme park setting. Most of the rides were excellent. We particularly liked the ‘big’ rides, the Go Jetters and Octonaughts rides. Postman Pat and the Tree Tops ride were also great and both children could go too. We had worried in advance about the queues as I have read they can be horrendous. Thankfully, going to the park on a Thursday in term time meant that the queues were virtually non-existent. The In the Night Garden and Postman Pat rides had wait times of 10 minutes plus when we arrived at 11am but these disappeared completely within a couple of hours. Other than that we didn’t encounter a single queue all day (excluding the monorail which takes you to and from the car park). I will write another post about which rides we thought were worth waiting in queues. You can also use the Alton Towers App to compare wait times. There’s plenty to do at Cbeebies Land. Aside from the traditional rides there are also play areas, educational areas and and shows. We enjoyed the Tree Fu Tom Training Camp and Nina’s Science Lab. There are several shows running throughout the day so you can plan your day to make sure you catch your favourite characters. We also liked that Ted, who is between 0.9m and 1.1m, was able to go on everything. On a few rides he understandably had to be accompanied by an adult. That wasn’t a problem, we were willing companions. Miss May was also able to go on the majority of rides. For the ones she wasn’t big enough for there was always somewhere nearby to keep her occupied. Cbeebies Land is within the main Alton Towers theme park. In some ways this is irritating because you are paying for entry to rollercoasters that you will not have the chance to ride. We were able to purchase parent and toddler tickets which are cheaper and softened the financial blow. However, there are advantages to having access to the whole park. David and I hadn’t been to Alton Towers in about 15 years and back then it was all about getting on Nemesis or Oblivion as quickly as possible. Turns out there is lots for kids to do in the main park. Alton Towers are so confident in this they have produced an activity pack called “22 things to do before you are 1.4m”. We headed out of Cbeebies Land quite late in the day and jumped on the nearby skyride. As we climbed up the hill in our pod we noticed that the area we were leaving behind had an aquarium and lots of fun looking pirate themed stuff. We continued, passing over the deserted, manicured gardens. At any other stately home they would be teaming with people. We stayed on the skyride until the last stop and found ourselves in Cloud Cuckoo Land, the children’s area within the park. Ted had a great time learning to drive in an electric car and went on the Frog Hopper ride twice. Ted (age 3) liked the big rides, the skyride, the rides in the main park and feeding a random duck just as we were about to leave. (When asked he still says the duck was his favourite thing.) Ted did not like the big characters and being overwhelmed. 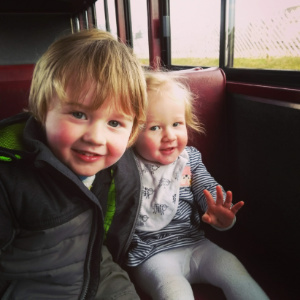 May (age 12 months) liked the Tree Fu Tom Training Camp, the Numtums ride and being anywhere with her family. May did not like being in the pushchair or waiting around. Absolutely, we would go back. We don’t feel like we used out time at all well. With our various issues we arrived later than we would have liked. 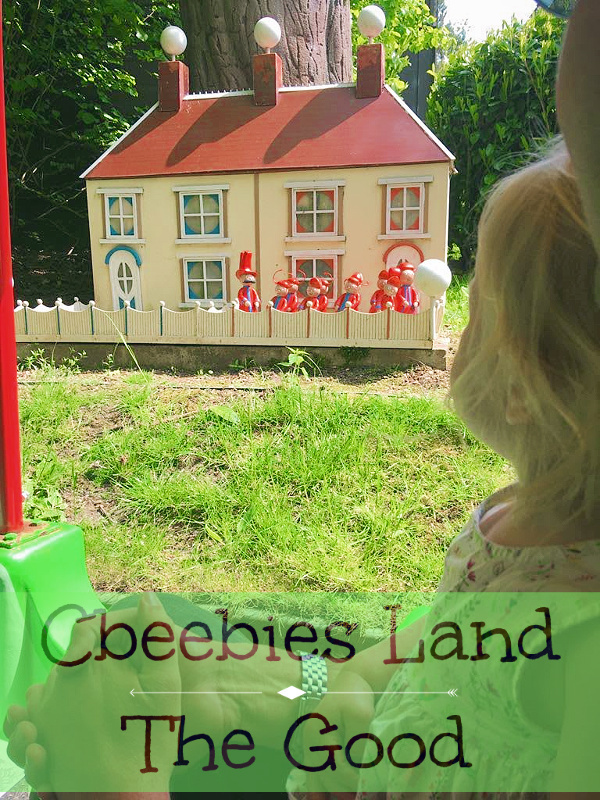 We were able to get a lot our of Cbeebies Land but we barely set foot in the main park. We’re already planning a return visit. Maybe when May is a bit older but i’m not sure we can wait that long! Have you been to Cbeebies Land? What did you think?